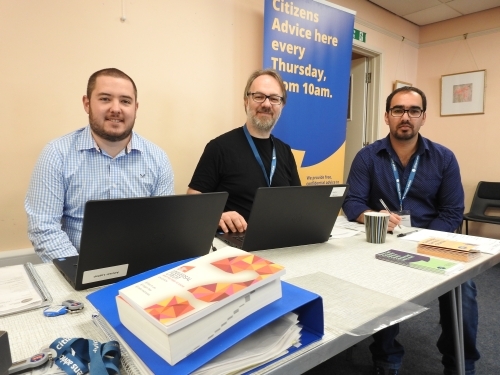 Citizen’s Advice South Somerset has an outreach team who offer free, confidential advice to people from Chard and district in Forefront Centre every Thursday from 10am. You can see that you’ll get a warm welcome from the team! Forefront is pleased to partner with Citizen’s Advice, who are an independent charity giving advice on virtually any issue while valuing diversity, promoting equality and challenging discrimination. Don’t struggle on alone – come and find a way forward with your local advice charity.